Invented in the 1870's, the 12 gauge is one of the most effective firearms of our age. Able to put out massive amounts of power without an extremely damaging recoil, the 12 gauge has been used for military, law enforcement, hunting, sport shooting, and self defense purposes for over a century, making it just the versatile firearm you need. Since 1876, Fiocchi has been providing some of the best ammunition in the world. As the oldest ammunition manufacturer in Italy, you can trust the products that come from this family owned, highly respected company. 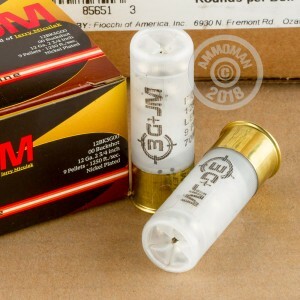 These 2-3/4" 00 buckshot shells are perfect for your next 3 gun competition and are the preferred load of the legendary Jerry Miculek. Remember, at AmmoMan.com, if your spend $99 the shipping is FREE! So stock up before your next competition and save! Failure to eject after 10 rounds. It's this ammo. I've tested every way you can manage. I purchased 140 rounds to shoot in my Mossberg 930, 18.5 in barrel. After 10 rds, failure to eject round after round. I have shot this Fiocchi ammo until it fails to eject,,,, 10-12 rounds. At this point, I immediately loaded Federal 2 3/4 in., 00Buck. The Federal ammo cycled without flaw, after the Fiocchi stopped ejecting. 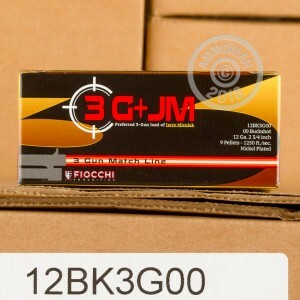 Its's the Fiocchi ammo that will not cycle. It is dirty ammo to begin. Secondly, I believe the failure to eject occurs when the chamber heats up, the brass on the Fiocchi expands to the point that it will not eject, due to the heat and expansion of the Fiocchi ammo. Federal ammo has no ammo with this issue. Consequently: I believe that the Fiocchi 12 brass is thinner than the the Federal. With a hot chamber, the Fiocchi brass, thinner than Federal, expands from the heat making it unable to eject. Pumps, single shot, over/under may not have this problem. Beware auto loads. I will not buy this ammo again to run through my Mossberg 930, 18.5 in barrel. I will shoot the remainder of my Fiocchi 12 at the range until it fails to reject, recreationally. When it's gone,,,,, never again. 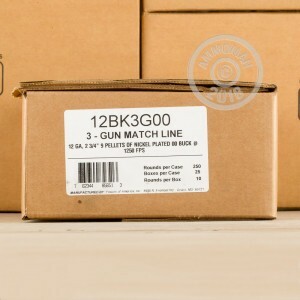 You can't beat this price for quality ammo. I'll buy again, a lot.